Authors, thanks so much for spending time with us! 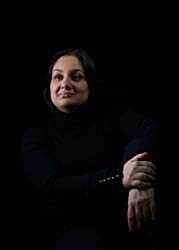 Today Fantasy Literature welcomes Rati Mehrotra, whose ASIANA duology explores multiple themes and genres; she joins me to discuss those aspects of her YA novels, her current work-in-progress, and a delicious-sounding cuppa. One commenter will win one copy each of Markswoman and Mahimata! Jana: The ASIANA duology features a blend of science fiction, fantasy, and post-apocalyptia. What challenges did you face in combining elements of these genres, and how were each of them essential to telling this particular story? 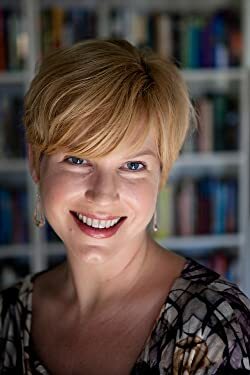 Today Fantasy Literature welcomes Alison Wilgus, a veteran of the graphic novel industry as well as a prose author and screenwriter for Cartoon Network! Ms. Wilgus joins me to talk about her latest publication, Chronin Vol. 1: The Knife at Your Back, her writing and artistic process, and an admirable amount of research. One commenter will win a copy of Chronin Vol. 1 along with a book-themed sticker and postcard from Tor Books! I’d like to start by asking you about the origin of Mirai Yoshida’s story — how did this story come to you? Creation-wise, was there a fairly straightforward path from the initial sketches and thoughts to a completed publication, or were there changes and surprises along the way? Seth Dickinson talks about The Monster Baru Cormorant (and gives away a copy)! 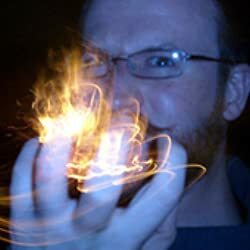 Today Fantasy Literature welcomes Seth Dickinson for his second interview with us! (Woohoo!) We loved his first novel, The Traitor Baru Cormorant. Mr. Dickinson was kind enough to talk to me about its sequel (The Monster Baru Cormorant), the complexities of world-building, and the thrill of a peaty single-malt whiskey. One randomly-chosen commenter will win a copy of The Monster Baru Cormorant from Tor Books! A warm welcome to Delilah S. Dawson and Kevin Hearne, co authors of the July 17 released fairytale farce extraordinaire Kill the Farm Boy. 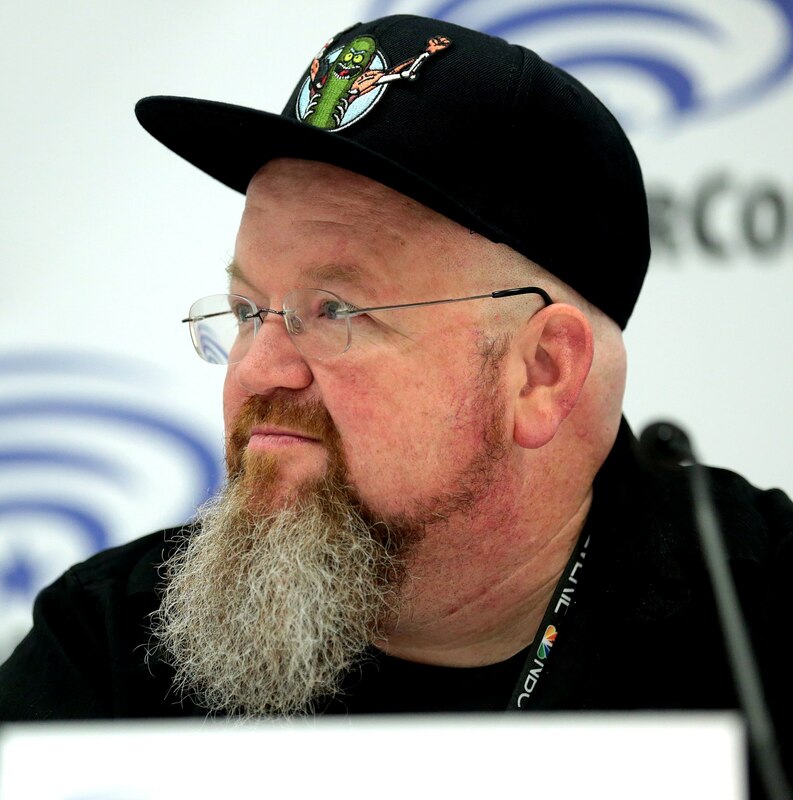 Kevin kindly returns to the FanLit interview seat where we've spoken to him in the past about his fabulous IRON DRUID series. Taya: Tell us about the genesis of Kill the Farm Boy. Whose idea was the premise and how did it evolve? 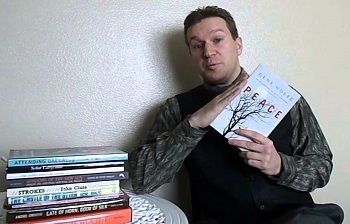 Author Cass Morris discusses FROM UNSEEN FIRE and gives away a book! Cass Morris joins FanLit to discuss her latest Roman-era fantasy FROM UNSEEN FIRE. Cass lives and works in the Blue Ridge Mountains of Virginia with the companionship of two royal felines, Princess and Ptolemy. She completed her Master of Letters at Mary Baldwin University in 2010, and she earned her undergraduate degree, a BA in English with a minor in history, from the College of William and Mary in 2007. She reads voraciously, wears corsets voluntarily, and will beat you at MarioKart. 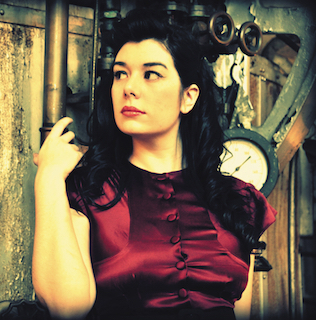 Find out more about Cass Morris online at cassmorriswrites.com. One random commenter with a USA or Canada address will get a copy of FROM UNSEEN FIRE. David Walton’s latest book is The Genius Plague, about humanity’s struggle against colonization, not by extraterrestrials but by a common earthly entity. (You can read our review here.) Marion asked Walton three quick questions about his book, and his answers are entertaining and intriguing. Three random commenters with US or Canadian addresses will win a copy of The Genius Plague. Marion Deeds: I really enjoyed The Genius Plague. Fungi are certainly fascinating and you managed to make the premise here plausible. What was your inspiration? And what sources did you use to develop your fictional (I hope) mycelium? 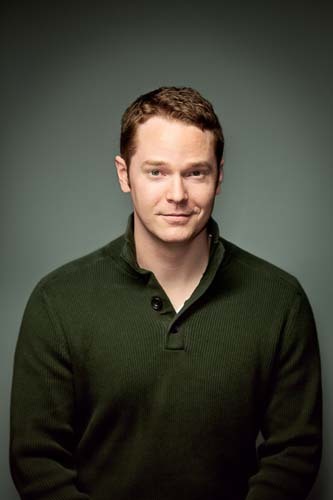 Daryl Gregory talks SPOONBENDERS, the ‘Mom test’, and gives away FIVE books! 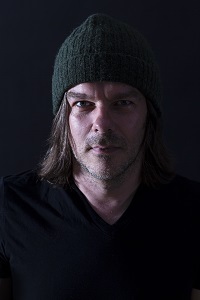 Daryl Gregory won the Crawford Award in 2009 for his first novel Pandemonium. 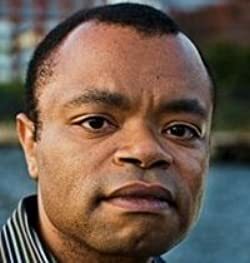 His 2014 novella “We Are All Completely Fine” won the World Fantasy Award and the Shirley Jackson Award in 2015. His other novels include The Devil’s Alphabet, Afterparty (which we loved), and his YA Lovecraftian novel Harrison Squared. 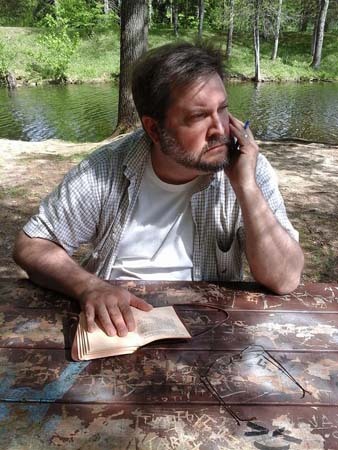 Gregory has also written many short works, graphic novels, and has written for television. Robert Jackson Bennett talks DIVINE CITIES… and we’ve got 3 copies of CITY OF MIRACLES to give away! 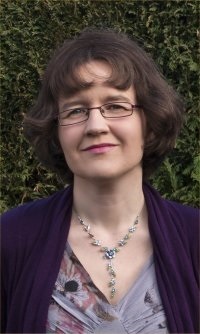 Today I welcome Gwenda Bond for her third interview with Fantasy Literature. We're celebrating the release of Lois Lane: Triple Threat, which, in my review, I called “excellent,” “enjoyable,” and “sweetly awkward.” Today Ms. Bond provides insight into her writing process, the pressure of writing the perfect first date, and toasting Pele. One random commenter with a U.S. mailing address will win a copy of Lois Lane: Triple Threat! 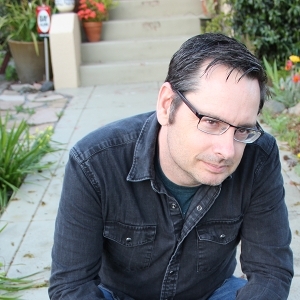 Sylvain Neuvel talks robots, sci-fi and WAKING GODS. Sylvain Neuvel burst onto the science fiction scene last year with his debut hit, Sleeping Giants, a 2016 Fantasy Literature favorite. The sequel, Waking Gods, is available on April 4, 2017. Tadiana and Jason were able to borrow a little time from the French Canadian author to learn about his passion for science fiction, backwards-bending knees, and the second novel in his THEMIS series, Waking Gods. After reading the interview, check out our reviews of of the new novel. One random commenter with a USA mailing address will win a copy of Waking Gods. See below for details. John Langan talks Literary Horror, THE FISHERMAN and gives away a book! John Langan has been shortlisted for numerous horror awards and received critical acclaim for both his shorter work, like his story collection Mr. Gaunt and Other Uneasy Encounters (Terry reviewed it here), and his two novels, House of Windows and The Fisherman (you can read our review here). In addition to writing, he edited the Creatures; Thirty Years of Monsters anthology with Paul Tremblay. Marion Interviewed him about The Fisherman, “literary” stories versus “horror” stories, and the power of landscape in fiction. David Rowe chats PROVERBS OF MIDDLE-EARTH. Win an autographed copy! 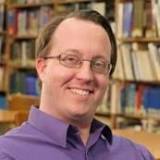 David Rowe is the Director of Contemporary Music, Social Media and Communications at St. John's Parish in Johns Island, South Carolina. 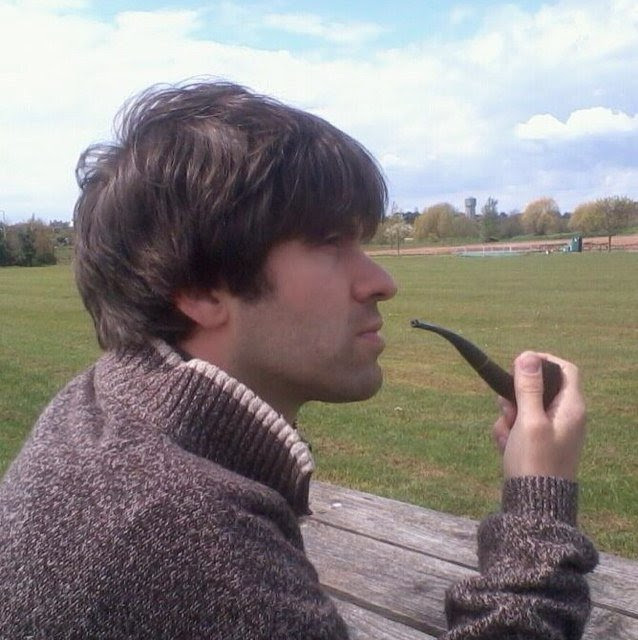 From Sheffield, England David has a degree in Biblical Studies and cultivates his passion for the works of J.R.R. Tolkien on his popular Twitter feed: @TolkienProverbs. The Proverbs of Middle-earth is his first book. One random U.S. commenter will receive an autographed copy of The Proverbs of Middle-earth. See below for details. 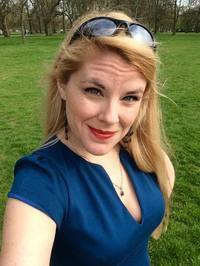 Stephanie Burgis chats CONGRESS OF SECRETS and gives away a book! 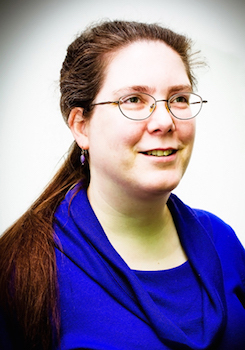 Stephanie Burgis established herself as a middle grade fantasy writer with her KAT, INCORRIGIBLE series. In 2015, she expanded her repertoire with the romantic fantasy novel Masks and Shadows, set in an alternate 18th century Austria. She followed that up with Congress of Secrets, which is set in Vienna in the early 19th century and includes hidden identities, political secrets and elemental alchemy. Burgis lives in Wales. She took some time out of her busy schedule to chat with Marion about her work, living in Wales, and how history can repeat itself if we’re not careful. Last year I tried twice (unsuccessfully) to finish The Best of Gene Wolfe: A Retrospective of His Finest Fiction, giving up in defeat. Many SFF readers are baffled and frustrated by his stories, because they are packed with metaphors, literary references, hidden themes, and require extremely close reading to understand and appreciate. I did get a lot of supportive feedback from various readers who encountered the same difficulties, including a very knowledgeable person named “Aramini”. 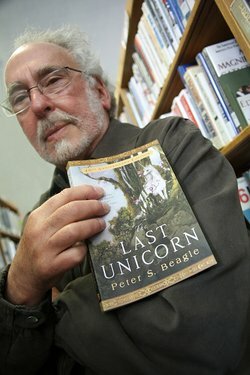 Peter S. Beagle stops by to chat SUMMERLONG, mythology & beer. Win a free book! Peter S. Beagle has a long and celebrated writing career, and his most recent novel, Summerlong, is the latest well-received addition to his extensive body of work. Today Mr. Beagle stopped by Fantasy Literature to discuss mythology, fantastical realism, and good dark beer. One random commenter with a U.S. mailing address will win a signed copy of Summerlong! Jana Nyman: Classic myths, along with their various heroes and gods, seem to be back in vogue right now. Why do you think they have such an enduring charm throughout the ages? What is the appeal to you, personally? 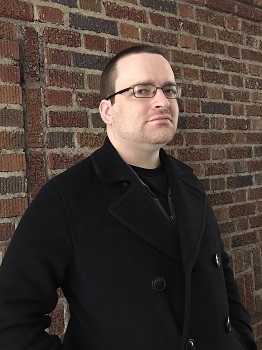 Today, Fantasy Literature welcomes Joseph Nassise, an author and editor whose latest feat is truly impressive: Urban Allies, an urban fantasy anthology which pairs up twenty authors who created ten brand-new stories featuring some very well-known characters. 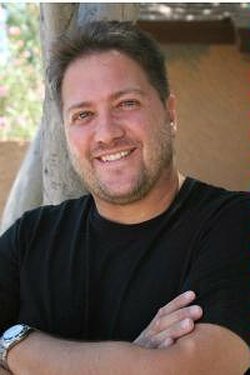 Mr. Nassise was kind enough to chat with Jana and reveal some of the process behind this collaboration, authors he’d love to work with, and his favorite writing incentive. And we’re giving away a copy of Urban Allies to one lucky commenter with a U.S. mailing address! 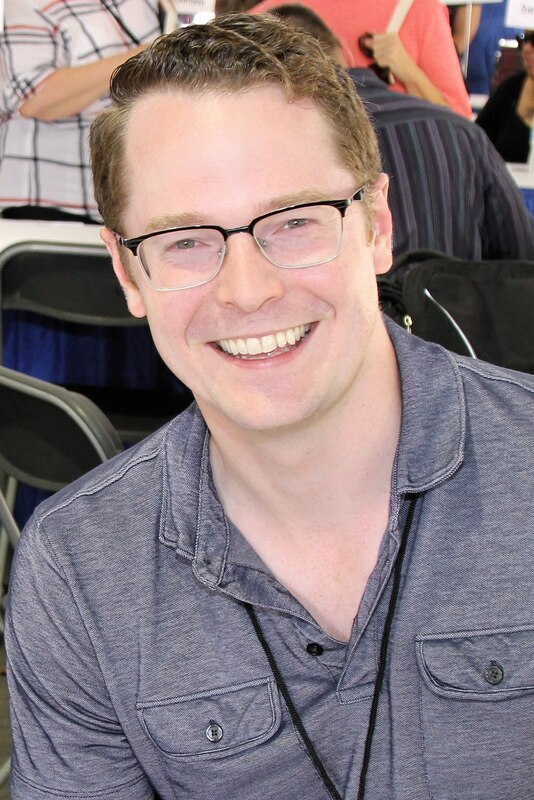 Caighlan Smith talks about CHILDREN OF ICARUS and gives away a book! 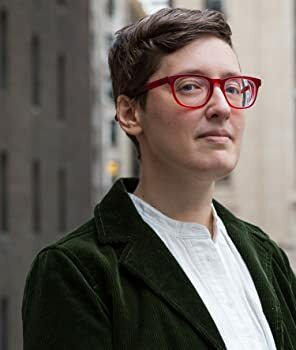 Today Fantasy Literature welcomes Caighlan Smith, whose short fiction has been featured at Tor.com and whose full-length novel, Children of Icarus (which I reviewed here), is now available! Ms. Smith took some time to chat with me about malleable myths, academia, and ridiculously tasty drinks. And we’ve got a copy of Children of Icarus to give away to one lucky commenter with a U.S.-based mailing address! 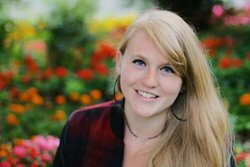 Jana Nyman: Congratulations on your recent graduation from university! Was it hard to balance writing an internationally-published novel against your studies, or are you the type of person who revels in that kind of pressure? How did you manage the stress? Genevieve Cogman talks about her INVISIBLE LIBRARY and gives away a book! Genevieve Cogman’s first novel, The Invisible Library, was released in the US earlier this month. Before turning to the LIBRARY series, Cogman wrote for role-playing games like The Dresden Files and Vorkosigan games. She lives in the north of England and works for the National Health Service. Genevieve chatted with me about The Invisible Library, writing and knitting yarn. One random commenter with a USA address will win a copy of The Invisible Library. Marion Deeds: I know from the afterword and a couple of interviews you’ve given that you live in the north of England, you like musicals and that you’re a quilter. What else would you like to tell your American audience about yourself? My favorite book so far this year is, without a doubt, Dexter Palmer’s Version Control which I reviewed in March. It’s about the wife and colleagues of a physicist named Philip Steiner who is working on a device that he hopes will disrupt the space-time continuum, allowing time travel (though he doesn’t want to become a laughingstock in the physics community by actually using the term “time travel”). In the novel Palmer employs several well-worn science fiction tropes to freshly and humorously explore an array of human experiences. Version Control is exactly what I am always looking for in a science fiction story — heavy on the science and heavy on the humanity. 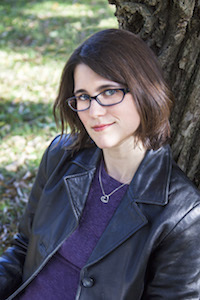 Caitlin Kittredge talks HELLHOUND CHRONICLES and gives away a book! Caitlin Kittredge is no stranger to dark fantasy and magic. 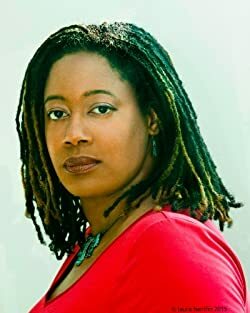 She’s probably best known for her BLACK LONDON series, gritty urban fantasy that follows the adventures of a woman police detective in that magical city. She also has a series called NOCTURNE CITY, some YA (The Iron Thorn is Lovecraft-tinged steampunk fantasy) and Coffin Hill, a comic book for Vertigo. The HELLHOUND CHRONICLES series is her latest, set in the American Midwest, and following the adventures of Ava, a hellhound, and Leo, who is a Reaper.